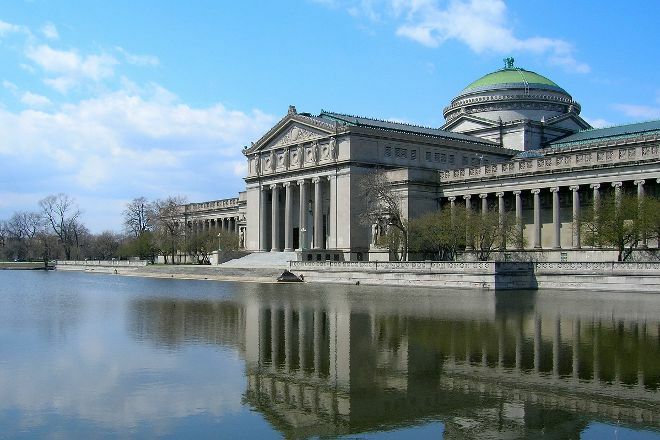 Indulge your passion for the scientific world at Museum of Science and Industry, the largest science museum in the Western Hemisphere. The complex boasts more than 800 exhibits--many of them interactive--representing diverse subjects, such as energy, environment, transportation, and space. Travel under the earth into the museum's exact replica of a 1933 Illinois coal mine, or head to the transportation wing to view a World War II German U-505 submarine and a replica of the first plane used by the Wright Brothers. Don’t miss the Apollo 8 aircraft that carried the first humans to orbit the moon and a retired United 727. Ask at the entrance about the always-fascinating temporary exhibits (additional fee). Check online in advance for a CityPass or Go Chicago card, each offering discounts for several other Chicago attractions, including this one. Popular tours sell out, so consider buying tickets in advance. Using our online itinerary creator, Chicago attractions like Museum of Science and Industry can form part of a personalized travel itinerary. I loved it! Wife loved it! Kids loved it! Ticketing was very simple and fast and the employees were very helpful. There was a balance of new and old exhibits. We watched “Tornado Alley” and wished we had done the “Coal Mine” instead. We also took a tour on the U-571....which was awesome! Great interactive exhibits on weather, electricity, sound, etc. The kiddos (aged 7 & 9) really loved being able to touch, pull, play, push things rather than walk past displays in glass boxes. Probably the best museum experience we’ve had....ever! It was pretty crowded and warm inside (based on a weekend visit in July). The standard entrance fee exhibits are fun for kids. Anything extra is pretty exorbitantly priced. Architecture is beautiful. Would put it up there in one of the required spots to see for tourists if only for the history of the building. Would say required for any Chicagoan to see but I'm guessing we've all done the field trip or family outing there at some point in our lives.